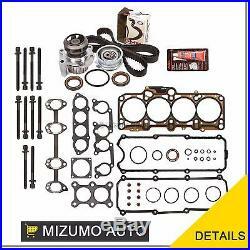 98-06 Volkswagen Beetle Golf Jetta 2.0L SOHC 8V BEV AVH AZG AEG High Quality Head Gasket Set, Head Bolts, Water Pump, and Timing Belt Kit Meet or Exceed OEM Manufacturers Specifications. 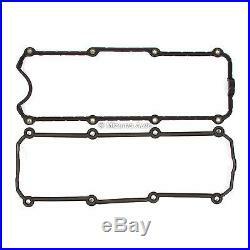 98-00 VOLKSWAGEN BEETLE 2.0L 1984CC 121CID L4 SOHC, (8 VALVE), ENG. 01-03 VOLKSWAGEN BEETLE 2.0L 1984CC 121CID L4 SOHC, (8 VALVE), ENG. 04-05 VOLKSWAGEN BEETLE 2.0L 1984CC 121CID L4 SOHC, (8 VALVE), ENG. CODE "BEV, AVH, AZG, AEG". 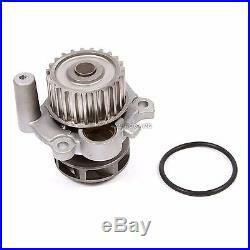 99-00 VOLKSWAGEN GOLF 2.0L 1984CC 121CID L4 SOHC, (8 VALVE), ENG. 01-03 VOLKSWAGEN GOLF 2.0L 1984CC 121CID L4 SOHC, (8 VALVE), ENG. 04-06 VOLKSWAGEN GOLF 2.0L 1984CC 121CID L4 SOHC, (8 VALVE), ENG. 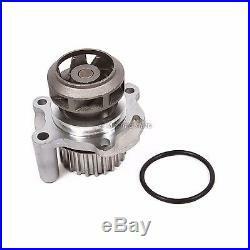 99-00 VOLKSWAGEN JETTA 2.0L 1984CC 121CID L4 SOHC, (8 VALVE), ENG. 01-03 VOLKSWAGEN JETTA 2.0L 1984CC 121CID L4 SOHC, (8 VALVE), ENG. 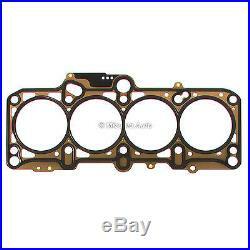 04-05 VOLKSWAGEN JETTA 2.0L 1984CC 121CID L4 SOHC, (8 VALVE), ENG. 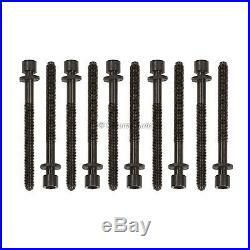 HS9020, HB9020L, SL1000 TBK296-GMB, WP9020 1 = 32 x 47 x 10, 1 = 35 x 48 x 10. 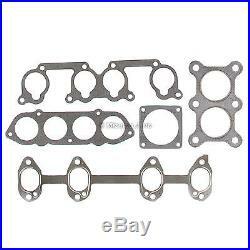 Multi-Layered Steel (MLS) Head Gasket. 1 Timing Belt (138 teeth). 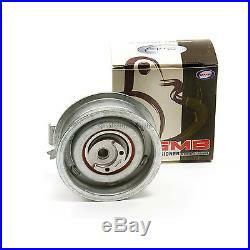 1 GMB Timing Belt Tensioner (bearing assembly). 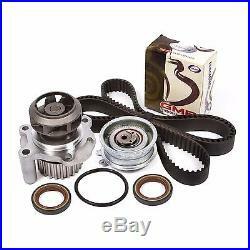 1 Camshaft Seal (32 x 47 x 10). 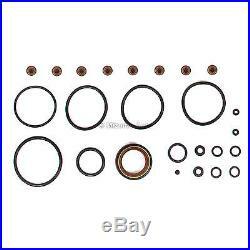 1 Front Crankshaft Seal (35 x 48 x 10). 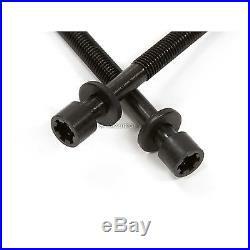 Note: Please refer to the listing pictures for an accurate description of the parts included in the kit. Interchange #: HS26161PT, HS26161PT-1, ES72189, TCK296. 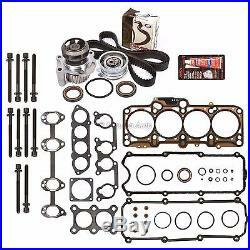 The item "Fit Head Gasket Set Timing Belt Kit Water Pump 98-06 VW Beetle Golf Jetta 2.0" is in sale since Thursday, June 23, 2016.